Federal authorities said the man arrested in connection to sending explosive devices to multiple politicians and a media outlet is charged with five federal crimes. Cesar Sayoc, 56, faces 58 years in prison, Attorney General Jeff Sessions said today. Sayoc is a resident of Aventura, California, and was arrested in Plantation Florida. A van in Plantation was towed away to Miramar, Florida, where an FBI field office is located, a law enforcement official said. Sayoc has a criminal history and ties to New York. Earlier Friday, authorities intercepted suspicious packages intended for Sen. Cory Booker and former Director of National Intelligence James Clapper. Authorities were also investigating a suspicious package in Sacramento, California, addressed to Democratic Sen. Kamala Harris, a law enforcement official said. And a 14th suspicious package has been intercepted in Burlingame, California, addressed to Tom Steyer. Speaking at the White House early Friday afternoon, Trump congratulated law enforcement on the arrest and called for unity. "These terrorizing acts are despicable and have no place in our country," said Trump, who was briefed on the matter earlier in the day. As the situation initially unfolded mid-morning -- before the arrest was announced -- the President complained on Twitter that the news media was busy reporting on "'Bomb' stuff" and not politics. "Republicans are doing so well in early voting, and at the polls, and now this 'Bomb' stuff happens and the momentum greatly slows - news not talking politics. Very unfortunate, what is going on. Republicans, go out and vote!" Trump tweeted. The FBI said Friday that the package addressed to Booker, a New Jersey Democrat, was discovered in Florida and is "similar in appearance to the others." Sources told CNN the package was addressed to the senator's Camden, New Jersey, office. Booker confirmed the package was intended for him but declined to comment further to CNN. The package intended for Clapper also was addressed to CNN, a law enforcement official said. It was found at a New York City postal facility and was similar to the other packages, the official added. The Clapper package arrived in a manila envelope with six US flag stamps, similar to other packages discovered this week. 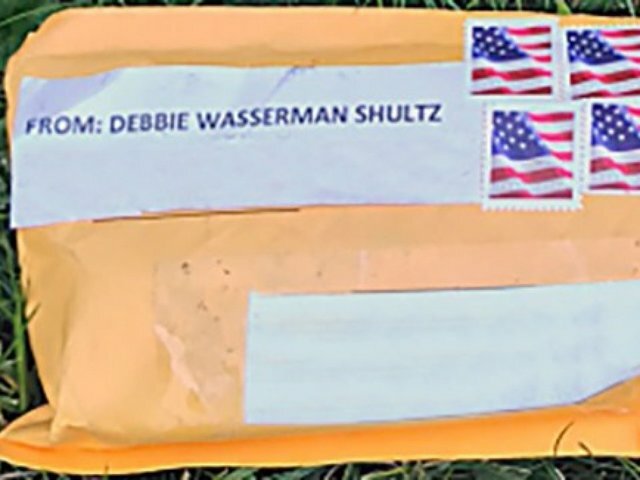 The return address is that of Florida Democratic Rep. Debbie Wasserman Schultz's Florida office, which was the address on packages intended for former President Barack Obama, former Vice President Joe Biden, billionaire and Democratic donor George Soros, actor Robert De Niro, former Attorney General Eric Holder, 2016 Democratic presidential nominee Hillary Clinton and former CIA Director John Brennan. There is no information that suggests Wasserman Schultz sent the packages. Law enforcement authorities are treating the bombs as a domestic terror matter. The motive is unknown, but the recipients are all prominent targets of right-wing criticism and, in many cases, of Trump himself. By Thursday night, the investigation had worked its way to a mail facility in Opa-locka, Florida, located about 13 miles north of Miami. Speaking at the Justice Department Friday morning, Attorney General Jeff Sessions said various agencies, including the FBI and Secret Service, were "working tirelessly" to investigate the packages. "I can tell you this: we will find the person -- persons responsible, and we're going to bring them to justice," Sessions said. A Justice official told CNN that Sessions canceled a trip to Louisiana scheduled for Friday to ensure that all resources, such as his plane and personnel required for his travel, would be available for the ongoing investigation. Clapper, who has frequently criticized Trump, vowed to CNN Friday morning that he wouldn't be intimidated in light of the discovery. "I do want to just echo one thing that John Brennan said and that this is not going to silence the administration's critics," Clapper said. One key question authorities are asking is why none of the apparent bombs detonated, a law enforcement source said, raising questions about the skill and motive of the bombmaker. The FBI called them "potentially destructive devices" -- so either the bombmaker was good enough to ensure none would go off and never intended them to explode, or they were poorly constructed. The presence of what is believed to be pyrotechnic powder is one reason why authorities consider them to be potentially destructive, though it appears they were handled through the postal system -- where they were jostled and moved -- without any explosion. Outside experts have pointed to the lack of a triggering mechanism, suggesting they were never meant to explode. The devices included very common components, making it more difficult to get clues from the signature of the bomb. But the components could have still provided clues -- like the clock and the tape used.